I have been very fortunate to have had a 3-week holiday in North America. Within the three weeks we managed to visit San Francisco, Portland, Seattle, Toronto, Muskoka Lakes, Chicago, and Cleveland. While planning our trip I wanted to make the most of my opportunity of being in the States, and decided to find out where the Health Professional’s I follow practise from. I then looked at our travel plans and looked at what would work. It was Dr Mark Hyman and the Institute of Functional Medicine at The Cleveland Clinic that I really wanted to visit. Dr. Hyman is a practicing family physician and the Medical Director at Cleveland Clinic’s Centre for Functional Medicine. 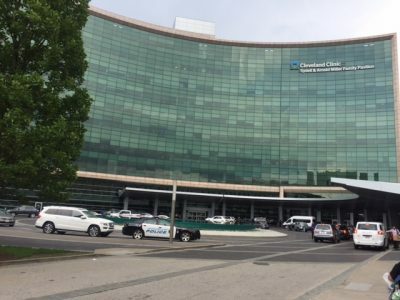 The Cleveland Clinic is one of the largest and most respected hospitals in the States. They are a non-profit multispecialty academic medical centre that integrates clinical and hospital care with research and education. The facility was HUGE! It was like you were in a town called the Cleveland Clinic – and they even have their own Police Department! 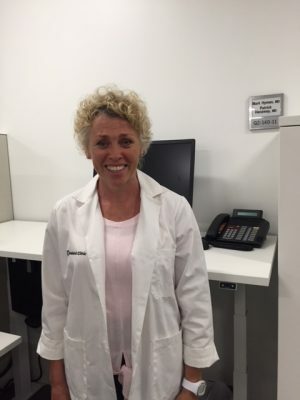 I sent an email to see if I could meet Dr Hyman, but he was out of the country on vacation, so I explained to them that I was a Clinical Nutritionist in New Zealand and would love to have an opportunity to visit the Clinic. The response was unbelievable. They asked the dates that I would be in the States – and they put together a time table for two x ½ days that would fit in with my travel plans. They allowed me to meet Physicians, Nutritionist and Health Coaches, and shadow them in consults. It was amazing and made me realise that what we do @ Mint is at the forefront of Functional Medicine. At the Institute of Functional Medicine you have an Initial 1 hour consult with a Physician which is then followed up with Nutritional consult and a Health coaching session. Every time you see the Physician – a Nutritional consult is required after the session. Health coaching is at Consult 1, 3 and 9 and from then on as much as you require. You cannot see the Physician unless you commit to the full programme of nutritional and heath coaching support. All practitioners have access to the Clients notes – and they work together to get the best results for the client. Functional testing, nutritional and lifestyle guidelines are all part of the treatment plan and progress is monitored at each subsequent consult. This is what integrated health is – and what we love to do at Mint – as we know that the client will have so much more success in reaching their health goals. The Clinic is set up with the centre of the space containing open-plan office space, that the Physicians, Nutritionists and Health coaches work from. The Clinic rooms are around the outside of this space, all in individual rooms. The space is light and airy with a peaceful ambience. To keep up with demand, and to make it easier on clients, they offer Skype and phone consults, that enables them to help clients throughout the States. I am so glad I made the effort to change our travel plans to add in Cleveland, as initially it wasn’t included in our schedule. When I was looking at the map, Chicago and Cleveland looked close. I now realise it was a little further than I thought – 543 kms to get there and the next day another 543 to get back to Chicago. Adding to the travel time was the fact we lost an hour going to Cleveland as we crossed from the Central Time zone into the Eastern Time zone. Seeing how The Institute of Functional Medicine works, reinforces to me and the team at Mint that we are on the right track. We are treating our clients in an integrative way to help them keep healthy, age well and find out the cause of many underlying health issues. Some of these health issues can be simple to fix with a few changes, and others require more in-depth treatment, depending on whether the conditions are acute or chronic. Jane – jane@mintfit.co.nz OR Claudia – claudia@mintfit.co.nz OR phone 3389654.